Call us on 01865 565019 to get a quote today. Here at Fantastic Fireworks we have hand-picked some of the best wedding venues in Oxfordshire, guaranteed to make all your wedding dreams come true. Finding the perfect wedding fireworks venue is easier said than done. But as the most rural county in the South East, with a rich history, Oxfordshire makes the process that little bit easier. From the ancient university in the City of Oxford to the historic market towns and picturesque villages in Cotswolds, there are so many places to explore and wonderful venues to choose from. And if you’re still not convinced, a survey by Hotels.com with 2,000 participants found that Oxford is considered to be one of the most romantic locations in the UK! An all time favourite of ours is Lains Barn which is set near the ancient town of Wantage, South of Oxford. The beautifully restored historic barn can accommodate your guests whatever the weather. Lains Barn is also recognised for ensuring that couples are looked after with support provided from an experienced and dedicated team from the start all the way through to the wedding day. 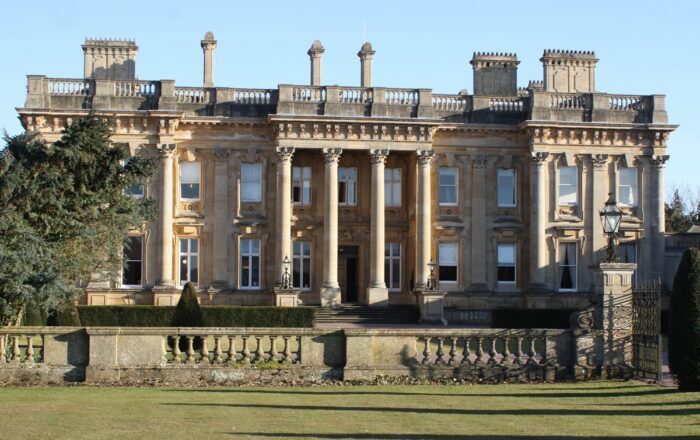 From the classic to the contemporary, the intimate to the extravagant, Heythrop will deliver the wedding day of your dreams – catering for up to 800 guests with a package tailored to meet your needs. With 358 beautiful bedrooms across the estate, it includes stylish accommodation for guests both before and after the wedding. The Westwood Hotel is another magnificent venue surrounded by 400 acres of woodland and set in 3 acres of picturesque landscaped gardens. Standout features of the hotel include a York stone terrace followed by the woodland which leads to a stunning view of the lake. Inside the hotel, you’ll notice elegant furnishing which create the perfect ambience and comprise of two function rooms, both of which open on to the terrace and gardens. The venue can accommodate up to 120 guests for a wedding breakfast and 200 guests for the evening and buffet. The privately owned luxurious retreat can be used exclusively on the day and includes a private car park. Oh, and you don’t have to worry too much about planning details because you will have an experienced wedding manager who will help you every step of the way. What’s even better is that the hotel recommend Fantastic Fireworks and so we can be present during the event to ensure your big day ends with a big bang. We couldn’t list the top venues in Oxfordshire and not include the splendid Blenheim Palace, birthplace of Sir Winston Churchill. The infrastructure was built in the 18th century and contains a fascinating history of the 1st Duke of Marlborough, John Churchill. The Great Hall is ideal for a dinner and drinks reception in the evening for up to 150 to 300 guests but if you list size is much greater, you could make the most of the stunning grounds with marquees where up to 2000 guests can dance freely and enjoy dinner or a drinks reception. And if you’re wondering about the most suitable entertainment, look no further. Fantastic Fireworks have supplied fireworks for Bleinheim Palace on many occasions and our customers couldn’t be happier! “Just a note to say a HUGE thank you for the spectacular fireworks display at Blenheim. It was more beautiful and amazing than either of us could have imagined and our guests loved it! “You really made our night and we will not hesitate to recommend you to others. In addition to the firework display on the night you and your team were a real pleasure to work with – you have obvious enthusiasm and pride in what you do, and it shows!” – Tanya and Alex.